I know breakfast is the most important meal of the day, but I never have time to make it. 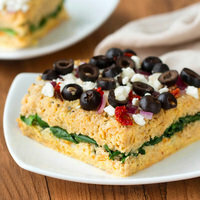 I'd love to start my day with a healthy, filling breakfast... without having to wake up an hour earlier! Any ideas? 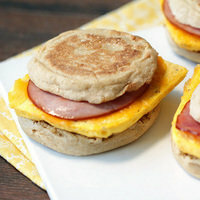 Save time in the morning: Make breakfast the night before! It doesn't get much easier than overnight oats. Just mix up old-fashioned oats, almond milk (or fat-free milk), sweetener, seasonings, and fruit. 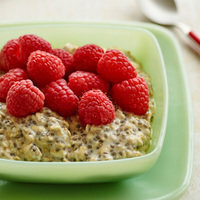 I add chia seeds for texture and protein powder for extra satisfaction. Here’s my go-to recipe! HG tip: Make five individual servings on Sunday, and enjoy one every day of the work week. Let your slow cooker do the work for you ahead of time! Steel-cut oatmeal and egg-white/egg-substitute casseroles are surprisingly easy to prepare. Just add your ingredients, set, and forget! Bonus: You get several days’ worth of breakfast with one recipe. Mugs aren’t just for coffee anymore. 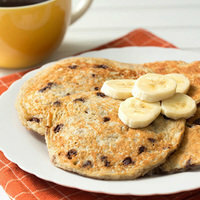 They’re perfect for portion-controlled breakfasts with easy morning cleanup! Try a Hungry Girl egg mug: It's a fluffy scramble with no skillet or spatula required! 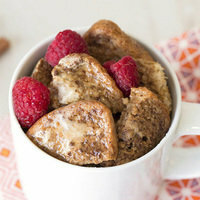 Or get a li'l fancy with French toast in a mug. In the mood for a muffin? This blueberry treat for one is ready in minutes. Happy National Cereal Day, March 7th! Did you know you can use bran cereal to make healthy "fried" chicken? Check it out! Your friends need breakfast too. Click “Send to a friend” to share these tips!